Fact: Hungarians knew coffee before the rest of Europe. Immerse in Budapest’s bustling café culture and sample its rich cakes. 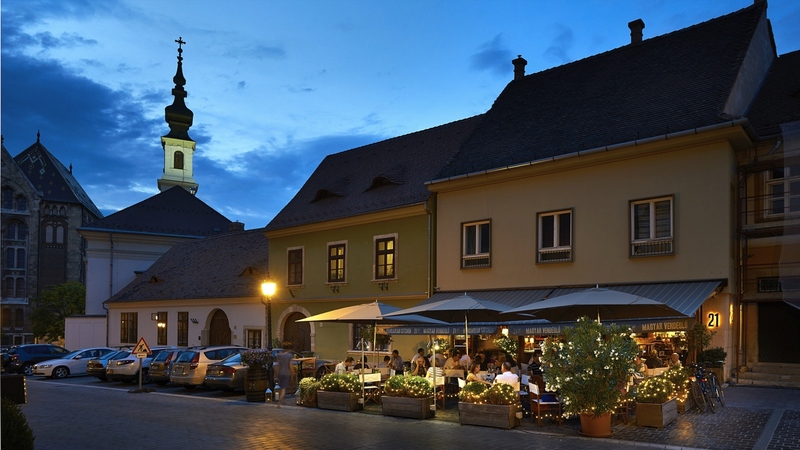 Savour signature Hungarian delicacies like goulash soup, goose liver and Tokaj wine in its countless restaurants. In the wee hours, dance the night away in the coolest clubs. If it’s summer, it’s outdoors. Budapesters while away the wee hours in the city’s signature pubs, fondly and ironically christened "romkocsma" or rubble bars, in derelict-chic courtyards, mostly in the 7th district. Most restaurants spill out onto the street and parks, opening special terraces, while some move all the way to the rooftop to catch the coolest summer breeze. Please be aware, due to local law, that smoking is not allowed in restaurants - only in the open air/on the terraces. My Budapest wakes up slowly, gets busy during the day and starts to beat at night. There is one thing you can rely on: you’ll always find delicious local food and matching wine, or pálinka, Hungary’s signature fruit brandy. I can have breakfast, a quick coffee or a long lazy chat over sumptuous tortes or evening drinks in one of the cafés, depending on my schedule. Gourmet palates will also find Michelin-starred restaurants, innovative Hungarian food and Central Europe’s only Nobu, right in our hotel. As a professional and enthusiastic foodie, I am in heaven in Budapest because the city holds countless annual food festivals. Even the world-famous Vörösmarty tér Christmas Market has a great selection of food stalls. In May, the Gourmet Festival showcases a tremendous array of stalls for every taste. I especially like discovering artisan regional products. In September, we go to the Castle District to sample and savour wine from the 22 wine regions of Hungary at the Wine Festival. There is also a festival dedicated to Hungary’s indigenous black pig, mangalica. • ASZÚ Restaurant - Located in the cool cluster of restaurants and bars around St Stephen’s Basilica, this inventive Hungarian restaurant has a wine list that is dedicated to Tokaj, Tokaj-Hegyalja (part of World Heritage as "Hungaricum”). • RÉZKAKAS Bisztró - A beloved local icon for almost 50 years, Rézkakas brings a definitive local flavour, complete with live Gypsy music, to the culinary scene around St Stephen’s Basilica. 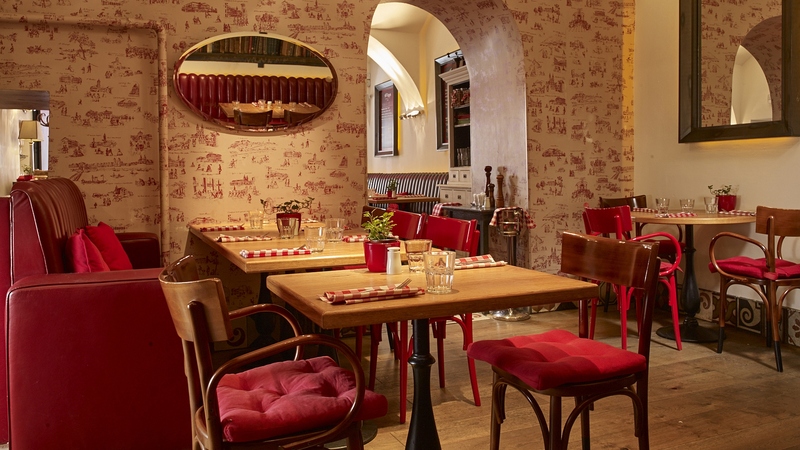 • CAFÉ KÖR - Offering power lunch in the day, and wind-down dinner in the night, Café Kör has been a consistently popular hangout in the Basilica area for fans of traditional Hungarian cuisine with a lighter international touch. • RÉTESHÁZ Restaurant - The First Strudel House of Pest fired up its kitchen in 2007, in the heart of Budapest, in a historical building constructed in 1812, serving local fare and creative Strudel specialities. • EVIDENS BISTRO - The home of generous cooking, where Hungarian and international dishes are prepared at your table. • PEST BUDA BISTRO - Grandma’s home-style Hungarian cooking finds a beautiful home under the original Baroque roof structure of a heritage tavern building. • 21 Restaurant - Located in the Castle District, 21 serves indigenous Hungarian dishes in a contemporary execution, featuring an all-local wine list. • ONYX - Michelin-Star-awarded restaurant - In the heart of the city, Budapest’s Michelin-awarded restaurant offers sophistication of food as well as experience. • TIGRIS - With several "Michelin Guide" mentions, Tigris cooks traditional Hungarian dishes for the contemporary palate, complete with goose liver specialities, serving its delicacies with a classic white Zsolnay table set. 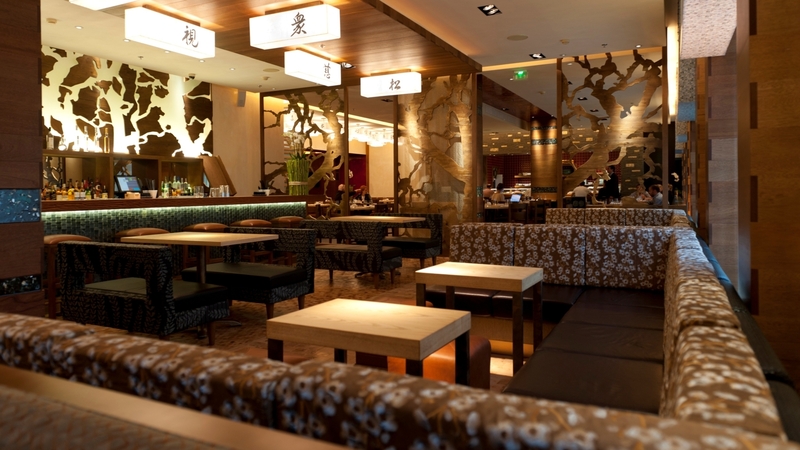 • CYRANO - Budapest’s first trendy restaurant, Cyrano has cooked uncompromising international food downtown. Upstairs, Cosmo Room is available for private parties. • COSTES - The first Hungarian Michelin-adorned restaurant continues challenging top-notch cuisine with its inventive culinary experience. Innio is one of the hippest places to sip wine in Budapest. A Hungarian wine selection is complemented by a number of international labels, making this city centre wine bar a great choice for a night out. The wine list is extensive, with up to 250 varieties, accompanied by some appetising bites. Menza offers so much more than the double treat of coffee and sunbathing on a terrace from early spring to late autumn: we are passionate about serving delicious food throughout the year. Although the name of the restaurant refers to canteens of the Socialist era, its interior design and cuisine provide a more sophisticated take on the past that is fine-tuned to match contemporary sensibilities. 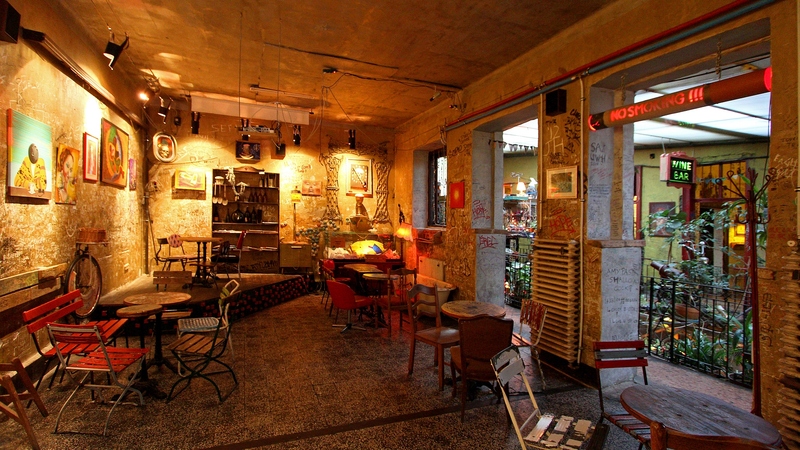 It merges the savoir-vivre of modern downtown restaurants with the relaxed atmosphere Budapest's 1960s coffee bars. DiVino Wine divine! DiVino offers a comprehensive selection of Hungarian wines by the glass and bottle, with a focus on up-and-coming winemakers from all over Hungary.